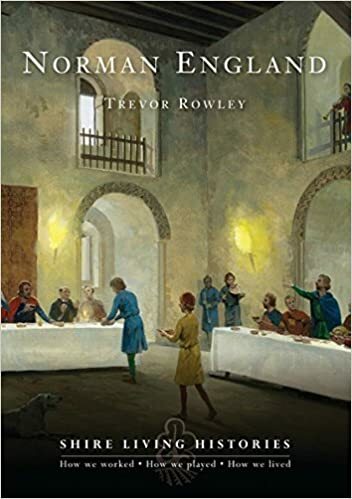 The Anglo-Saxon Chronicle, which documents life at the turn of the last Millennium, has surprisingly little to say about so life-changing an event as William the Conqueror's invasion of England. 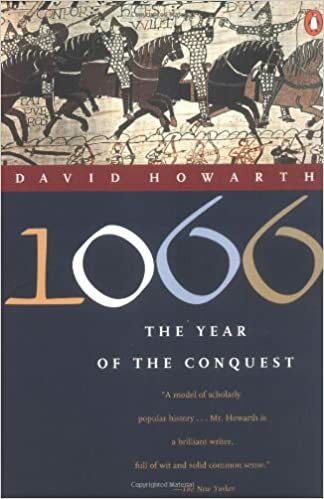 That we know so much about the events before and during 1066 is due to William's half-brother Odo, Bishop of Bayeux, who commissioned a tapestry to commemorate the conquest of England. Two hundred and thirty feet long and twenty inches wide, embroidered with coloured woollen threads on linen, the Bayeux Tapestry tells the story of Edward the Confessor, Harold and William of Normandy in pictures and text. 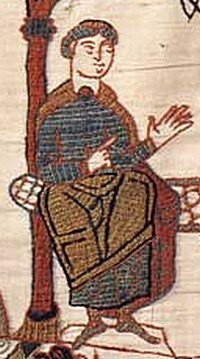 How Edward left his lands, how Harold was shipwrecked and rescued by William before taking England's crown when Edward died, how William built his ships, how he dressed, what horses he rode, what he ate and how the battle between Normans and Anglo-Saxons played out is all depicted in vivid detail. From the style and the sympathetic treatment of the English in the displays, it is thought that the tapestry was made in Canterbury, but we first hear of it in the 15th century, when it is listed as part of the inventory of Bayeux cathedral. It was almost lost during the French revolution, but was rescued and survived more or less intact to the present day. During the Victorian era, Elizabeth Wardle, a skilled embroideress of the Leek Embroidery Society in Staffordshire, had the idea of replicating the tapestry "so that England should have a copy of its own". She recruited other members from the Leek Embroidery Society, as well as women from Derbyshire, Birmingham, Macclesfield and London to work on the project. And in little over a year, it was complete. Today, this copy is kept at the Bayeux Gallery of the Reading Museum. If you can't make it to Reading, their website allows you to look at the whole tapestry, scene by scene. This is absolutely fabulous and should not be left out. Every time you mix art with history, you're bound to get something amazing. Both the original tapestry and the Victorian replica are fascinating pieces of work. There's also a more recent tapestry in glorious colour, made by the very talented Annette Banks. And now.. there's an animated version using the images from the Norman original. Return from admiring the Bayeux Tapestry to the Norman England page for more information about the Norman conquest of England.